Fun fact: They’ve had to re-film a portion of the show and cut a chunk of Ma Tianyu’s scenes because the censorship board wasn’t happy with the fauxcest storyline. All Out Of Love 凉生, 我们可不可以不忧伤 is an upcoming melodrama based on Le Xiaomi’s novel of the same name, and stars Sun Yi (Because I Met You) as a young woman who has fallen in love with one man but can’t leave her childhood sweetheart behind. Despite leading an impoverished childhood, Jiang Sheng (Sun Yi) and her non-biological brother Liang Sheng (Ma Tianyu) have never been happier. Soon after passing the university entrance exams, Liang Sheng disappears after getting into a car accident, and Jiang Sheng goes on a desperate search for him, to no avail. During her search, she meets Cheng Tianyou (Wallace Chung), the CEO of an entertainment company who has god-like features, and hides a passionate heart behind a cold exterior (this is from the official character summaries, believe it or not). 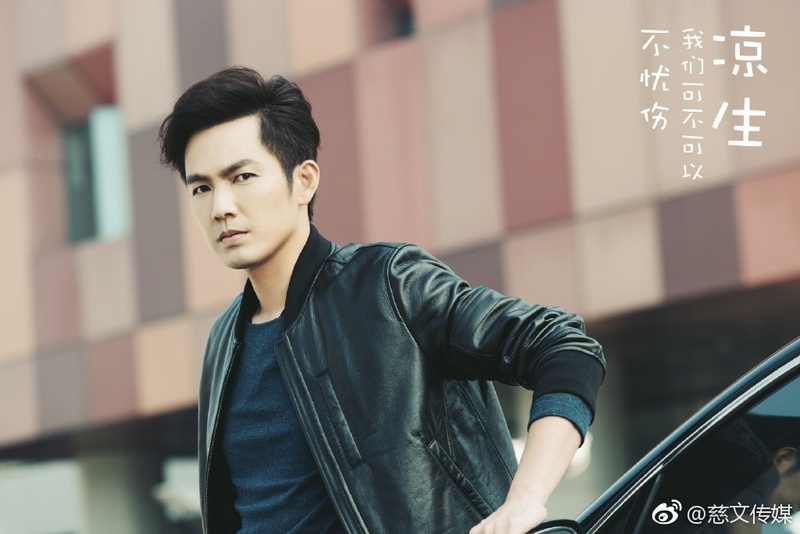 He falls deeply in love with Jiang Sheng, yet Liang Sheng’s sudden return and true identity as his cousin throws a wrench into their relationship. Liang Sheng is later diagnosed with acute myeloid leukemia, and Jiang Sheng sacrifices her love for Cheng Tianyou in order to take care of Liang Sheng (why?). However, after Liang Sheng recovers and professes his love for Jiang Sheng, she rejects him, ultimately deciding to follow her heart. Directed by Liu Junjie, the 60 episode drama is slated to premiere sometime this year on Hunan TV. This entry was posted in Drama, Mainland China and tagged All Out Of Love, Ma Tianyu, Sun Yi, Wallace Chung by XDramasX. Bookmark the permalink.